I choose the Scamp because it’s solid and one of most light-weight campers you can find thanks to its fiberglass shell. I wanted something small and easy to tow so I could go pretty much anywhere and be able to settle in and out quickly with minimal fuss. Some think it’s too small (a friend of mine referred to it as a “freakin’ closet” haw!) and it very well may be for some, but it’s well suited for me since I only need it to sleep and cook in (whenever I’m not cooking outdoors). It also provides sanctuary during nasty weather. The outside world is my living room and that’s all I need or desire. This particular model has a kitchen with sink, two burner propane stove-top, three-way (battery, electric, and) propane fridge, a couch that turns into a double bunk bed, and a dinette area that turns into a full-size bed. Some models come with bathroom and shower, but I decided against that for more room in the camper. I have a compost toilet1 that slides under the bed when it’s not in use and I often use campground & truck showers in addition to the usual ways one keeps clean in the outdoors (solar showers, extra-large body wipes for quickies, warm water and sponge, etc. etc.). I modified the dinette area by removing the standard, square table and replacing it with a smaller, round one and adding cushions in the back so it has wrap around seating for more room and flexibility. The inspiration for this came from a great Facebook group for Scampers. The camper also comes with a furnace, air conditioner, and roof fan, all of which I use very rarely since I am outdoors most of the time. At night when it’s cold I have my double size sleeping bag (which fit the bed perfectly!) and blankets that do the job. I occasionally use a small portable Mr. Buddy propane heater to warm things up. The built-in furnace works; it’s just too strong (it also uses battery power which I prefer to conserve) and it’s not really needed while I’m sleeping. The fantastic fan in the roof works great at sucking out hot air or steam from cooking, etc. It doesn’t use much power so I’m pleased with it. For really hot days (Hi, Florida! ), the A/C works like a dream — I just have to be able to hook it up to an electrical outlet so it does limit boondocking2 opportunities. I have a regular deep cycle marine battery powering the whole shebang. My electrical needs are minimal so I don’t require much — just something for the LED lights and to charge up my laptop, phone, etc. For the times I need to top off the battery, I use a 100-watt portable solar “suitcase” kit (with built-in charge controller) that unfolds and hooks up to it. It works very well and its portability allows me to string it into the sun while keeping the camper under shade3. The battery also charges while driving or plugged into an electrical outlet. I have a 300 watt Morningstar SureSine inverter hooked up underneath the front bunk seat (with electrical outlet installed for easy plugging into). In the beginning, I spent hours and hours going over and figuring out an ideal solar setup and realized I was way over-complicating things. Simple is best and it’s proven out so far… It’s a relief not to have to worry so much about it. A trusty 2006 RAV4 with four-wheel drive and over 100,000 miles hauls the Scamp. It’s an incredibly reliable machine, ever loyal and up to the task of hauling it all around the continent — on and off the road. Even though it’s “only” 4 cylinders, it’s done a bang up job and has had no issues climbing the mountains and going off-road where my wandering soul wants to go, giving me the capability of camping in some very beautiful out-of-the-way places. Having a trailer style camper gives me a great deal of flexibility. I very much appreciate the ability to unhook the camper and go roaming or to town to stock up on groceries, hit up local bookstores & cafes, etc. For the rare times I feel the need, I can put a heavy-duty wheel lock on it. 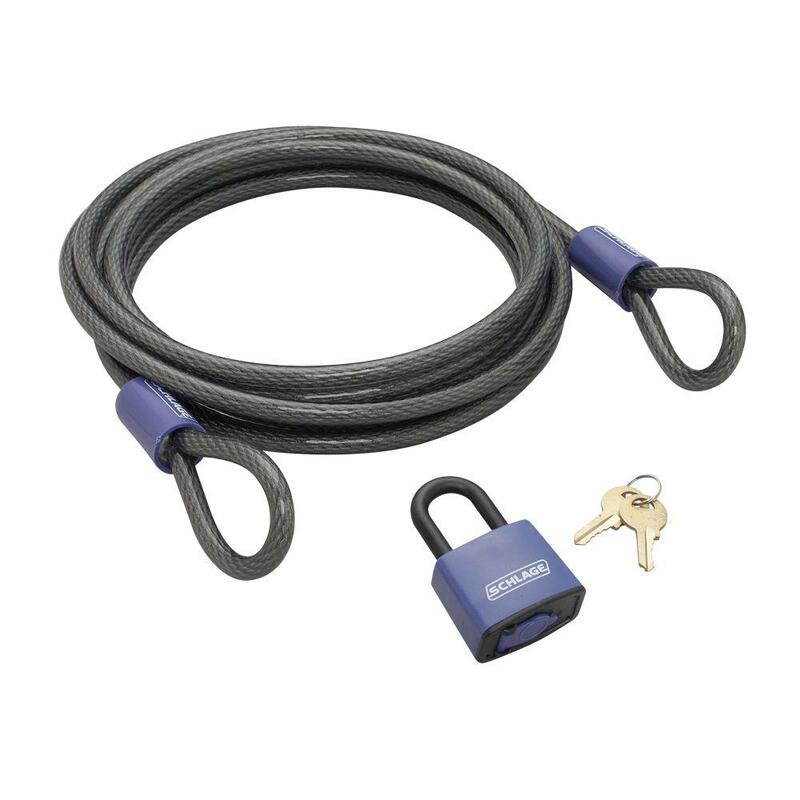 I’ve only used the lock twice the entire time I’ve been camping and I probably didn’t really need to, but it’s a matter of being camp-smart and trusting my gut just to be sure. Peace of mind goes a long way, y’know? Other than the issues that popped up from the initial “shakedown” cruise when I first took off (trailer brakes needed to be replaced, rear right tail light stopped working, pipe connection to propane tank swapped (squirrel or some nutso chewed a hole in it! ), and replacement tires for the RAV4 which wore out faster than expected due to driving quite a bit on gravel roads), the whole thing has been a pure delight. I’m very happy with it. If you have any questions, go ahead and ask in the comments below. I’d be glad to share what I’ve learned. Feel free to browse around my blog for more stories and photos of my travels and the folks I’ve met thus far. It’s been a grand adventure. : ) Thank you for stopping by! “Boondocking” means to camp out in the wild without any hook-ups (electrical, water, etc.) — see photo above for example. It’s my preferred mode of camping. Rhonda, thank you for your kind words! I do love my Scamp, it’s been great, esp, for going where most don’t go. I just took a look at the Flight Swifts and those are just as nifty. My mom and uncle have something very similar and use it to go to music festivals around Florida. Great use, I say! Such a service for anyone thinking of setting out with a set up likes yours. All the specs and lessons learned put down in a handy reference guide kinda way… Keep on with the travel tips, Cuz. Marc is in a similar phase of gearheadedness, but with lightweight backpackable supplies and inspired workarounds for the many on the go issues of the trail. You know how to reach him if you want any pro tips… XO! Ooooh, I can totally see Marc going all out at it in his own meticulous way. Can’t wait to see what he’s come up with. Thanks for checking in, cuz! Lots of love. I can or imagine such a small trailer, but it seems to,fit exactly what you desire. We owned a 16 with a full bath and would never do without. It’s just us,mwe demand a bathroom. We now own a premium trailer, a Lance 1575. Has a deep,slide out, full bath, and all the extras. Doug, yup many think the Scamp might be too small for ’em but it works for me and I’m very happy with it. If I’m with someone else, I may want the 16′ model so we’re not tripping over each other all the time. Understood on the bathroom, gotta do what works for you. Sounds like you have a dream set-up. Sure hope you’re enjoying it!